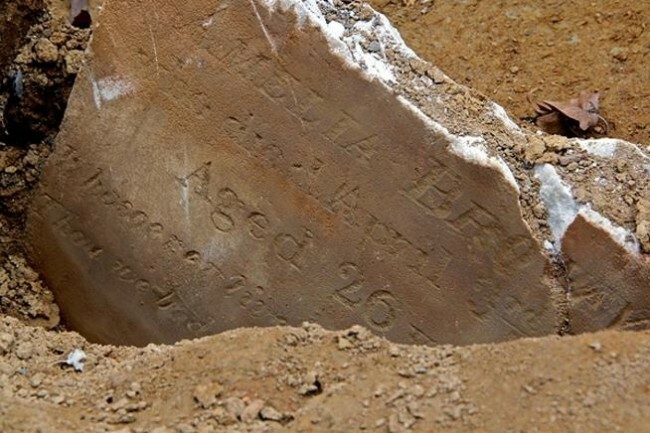 Seventy-five-year-old Hester Jeffries died this date, January 26th, in 1847 and was buried at Bethel Burying Ground. Seventy-five-year-old Hester Jeffries* died this date, January 26th, in 1847 from complications of a stroke but wasn’t buried at Bethel Burying Ground until the 28th of January. The newspaper obituary for Ms. Jeffries states she died on the 26th although the death certificate states the 28th. This discrepancy is unexplained. Ms. Jeffries was employed as a dressmaker throughout her adult life, but it is unclear how much she could do during her final days. Her spouse William died in December of 1850. He worked as a whitewasher** for decades. The Jeffries were longtime residents of Philadelphia and the 1840 Federal Census reports that one of the Jeffries was formerly enslaved and eventually manumitted. Black Philadelphians like the Jeffries took what was available to them from a racist society and they created a thriving community of businesses, churches, schools, and beneficial societies. This is a story of self-preservation and resilience that should not be forgotten. **Whitewash is a solution of caustic lime, chalk, and water used for painting walls whiter. ← One-year-old George Henry Mendoza died this date, January 20th, in 1847 and was buried at Bethel Burying Ground.